On the day the restored Church of Jesus Christ was organized, the Lord gave a commandment to the assembled Saints: “Behold, there shall be a record kept among you;...” (Doctrine and Covenants 21:1). This brief history builds on the efforts of many faithful Congolese Saints who have sought to fulfill that commandment—often under challenging conditions. It seeks to honor their diligent record keeping and their worthy lives, both serving as tangible witnesses to the truth of the cause which they have embraced with their whole souls. The blessings that flow from the establishment of The Church of Jesus Christ of Latter-day Saints in the Democratic Republic of the Congo now spread throughout central Africa. Though the stories of the early Saints in other surrounding nations still cry out to be told, it is hoped that this admittedly incomplete history will enlighten and strengthen the faith of all members of the Church. It is also hoped that this public record will provide a source of accurate information for media journalists and non-member friends of the Church, many of whom are already devout disciples of Jesus Christ and who are only kept from the additional truths offered by His restored Gospel “...because they know not where to find it—” (Doctrine and Covenants 123:12). The document recounts a brief history of the development of The Church of Jesus Christ of Latter-day Saints in the Democratic Republic of the Congo — from the conversion of isolated pioneers to the establishment of formal congregations, leading to the creation of the first stake. It includes the story of the first trip of Congolese Saints to the Johannesburg South Africa Temple in 1996; the announcement by then Church President Thomas S. Monson in October 2011 General Conference of the planned Kinshasa Temple construction; and the remarks and prayer given by Elder Neil L. Andersen, of the Quorum of the Twelve Apostles, at the temple's groundbreaking event in 2016. The history presents a brief photographic record of the building's construction, along with images of the finished temple — and finally, a short description of the history, purpose, and operation of ancient and modern temples, accompanied by images of the Kinshasa Temple's interior. 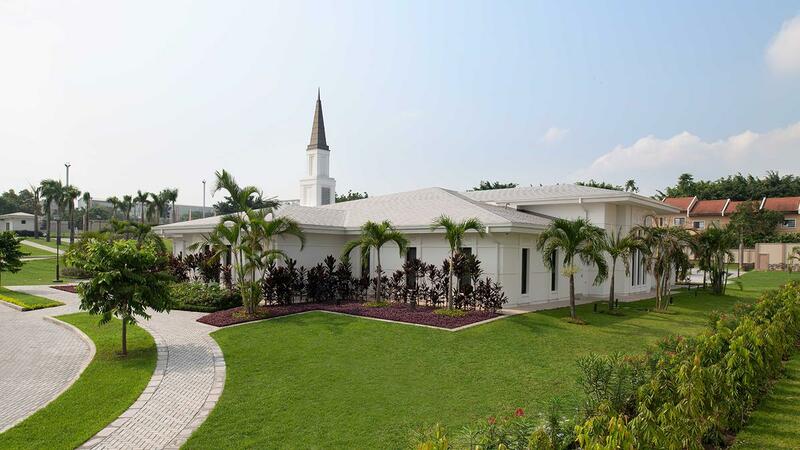 Click here to read A History of The Church of Jesus Christ of Latter-day Saints in the Democratic Republic of the Congo.